Looking for a fun beach front resort that is also close to all the action San Diego has to offer? The Hilton San Diego Resort & Spa may be the perfect combination of both. With beach access and fun resort activities you could stay and play all day at the resort. 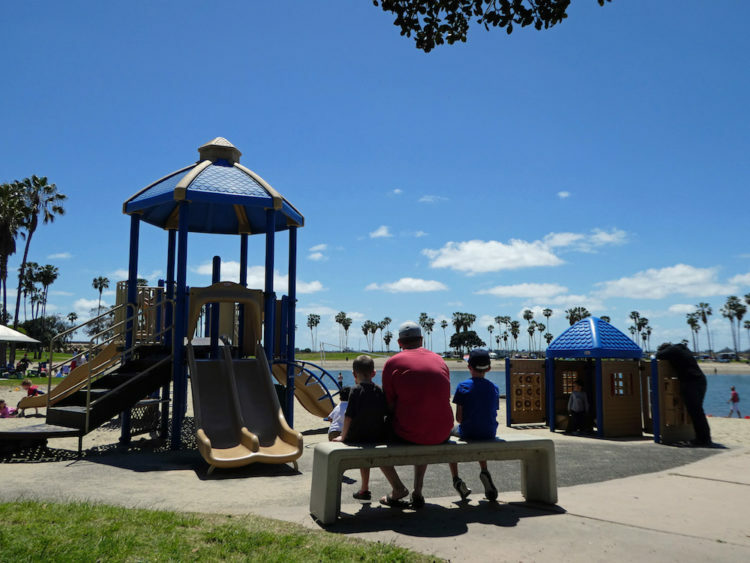 It’s Mission Bay, California, location is also convenient when exploring all the attractions San Diego has to offer. 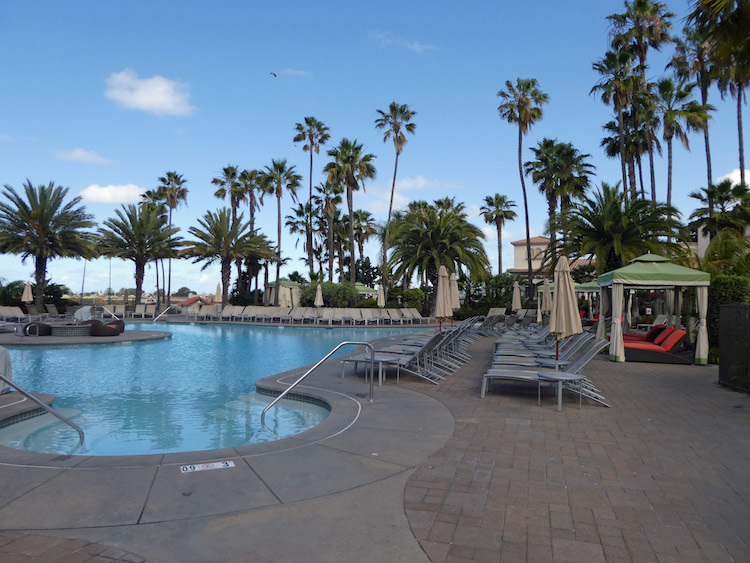 We stayed the Hilton San Diego Resort & Spa during our recent Southern California vacation. We are regular San Diego visitors but it was our first time at this resort. Fortunately the Hilton brand and Mission Bay location did not disappoint! 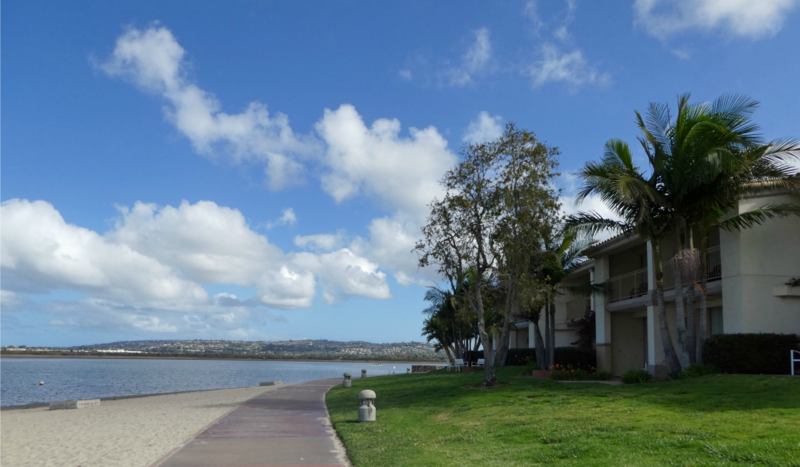 The resort’s location on Mission Bay is one of the prime reasons to stay here. It’s located near many of San Diego’s most popular attractions including SeaWorld, the San Diego Zoo, and Old Town San Diego. 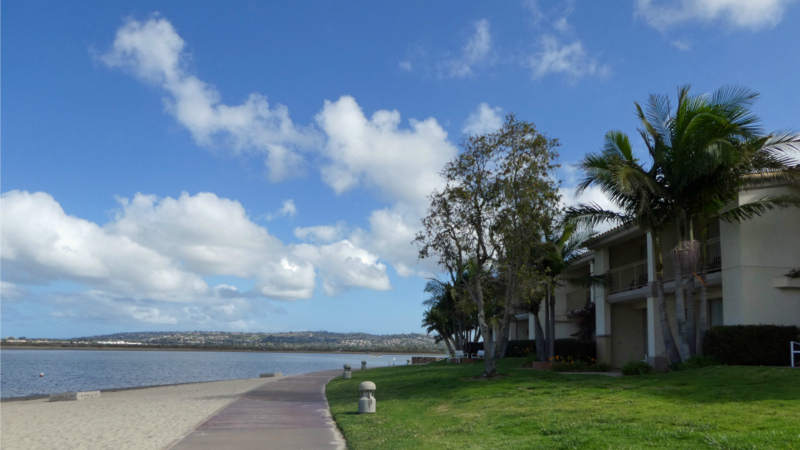 Plus the resort is located right on Mission Bay. Select rooms have a waterfront view and are only a few steps away from the beach. The resort itself is located between two public parks on the water. I love having playgrounds nearby when we travel. We stayed in a waterfront room on the first level. The beach was only 40 feet from the edge of our patio. It was amazing to sit there and watch the kids play in the sand and splash in the water. 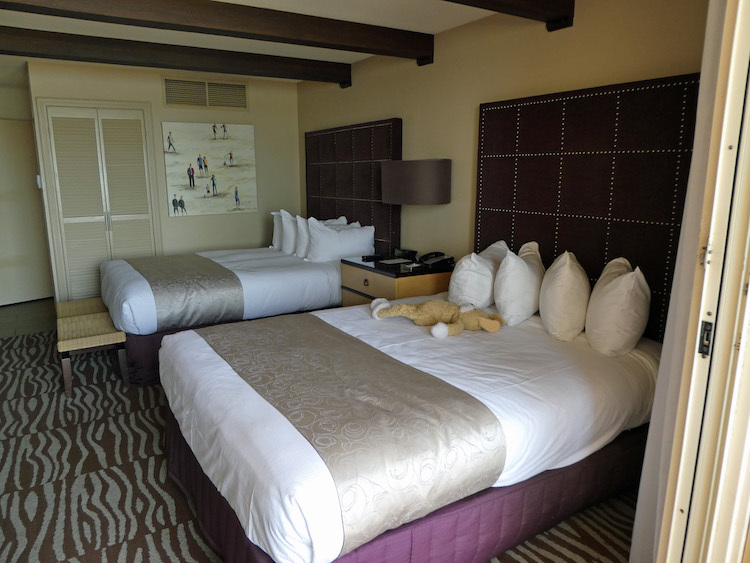 The room itself was well designed and felt spacious even with 2 queen beds and a long desk/console area. There was also a mini fridge hidden away in a closet with room to store some snacks and food out of sight. There is limited parking available outside of the rooms and it was usually full. Most of the time we were lucky and were able to snag one of the last spaces near our room. Additional parking further away from the room is available. There is a $36 parking charge each day. 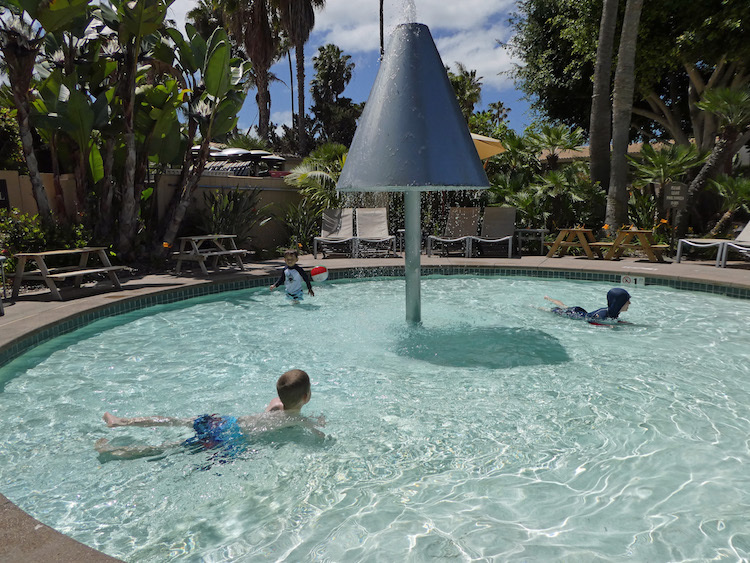 The hotel features a large pool area with a separate little kid pool and two spas. Dive-in movies, s’mores nights and a kids camp are offered seasonally. 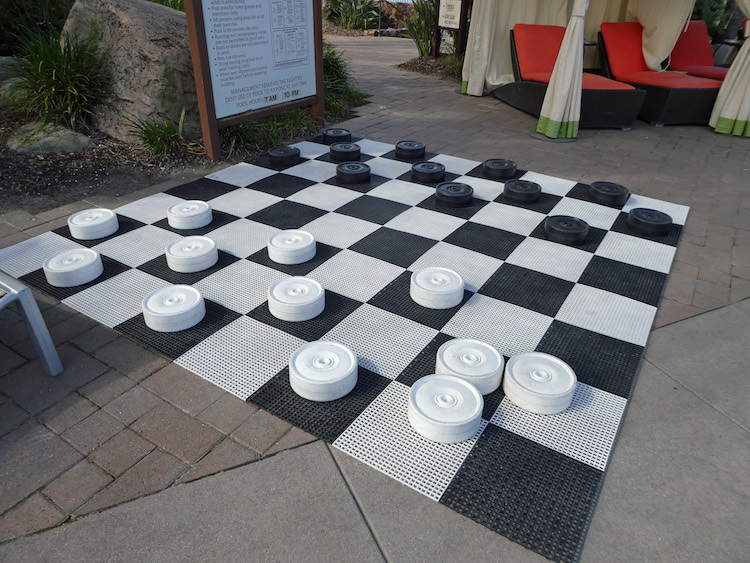 A jumbo checkers board is located in the pool area and a variety of games can be checked out at the front desk from board games and sand toys to volleyballs and horseshoes. There is plenty of things to do just at the resort alone. Access to the beach is super convenient for guests in waterfront and garden view rooms. Note this is a bay front beach so there aren’t huge ocean waves. You won’t be surfing here but kids can play in the water and sand without you worrying about a crazy ocean undertow. Sea World fireworks can be seen from the beach on some evenings and a complimentary shuttle service departs to SeaWorld at 10 a.m. and returns at 4:15p p.m each day. Inquire at the front desk about a complimentary hop-on-hop-off Old Town Trolley. 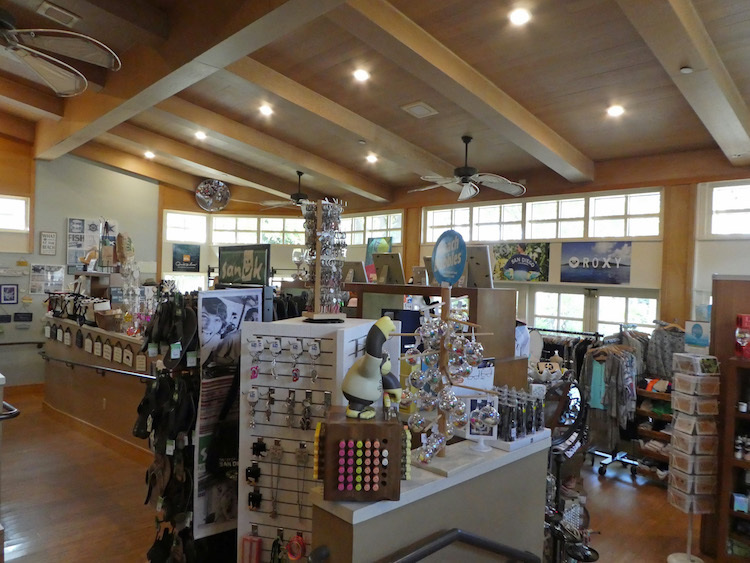 Bayside Boutique & Market is the onsite gift shop. It’s fairly extensive with a wide variety of souvenirs, beach gear, and snacks. This is super beneficial because there are no stores located within walking distance. The prices are in line with a typical hotel gift shop, though, so I’d recommend stopping by a regular store for the bulk of your purchases. Their waterfront restaurant, Acqua California Bistro, serves breakfast, lunch and dinner. We ate the breakfast buffet one morning and while a bit pricey, the variety of cold and hot options made it a good option for the entire family. Aroma, the coffee shop across from the lobby, offers quick breakfast and lunch options. You can also dine al fresco or inside at The Olive Lounge or seasonally at Frescos, their pool restaurant. We found that Woodstock Pizza in Pacific Beach would deliver to the resort and room service is also available. 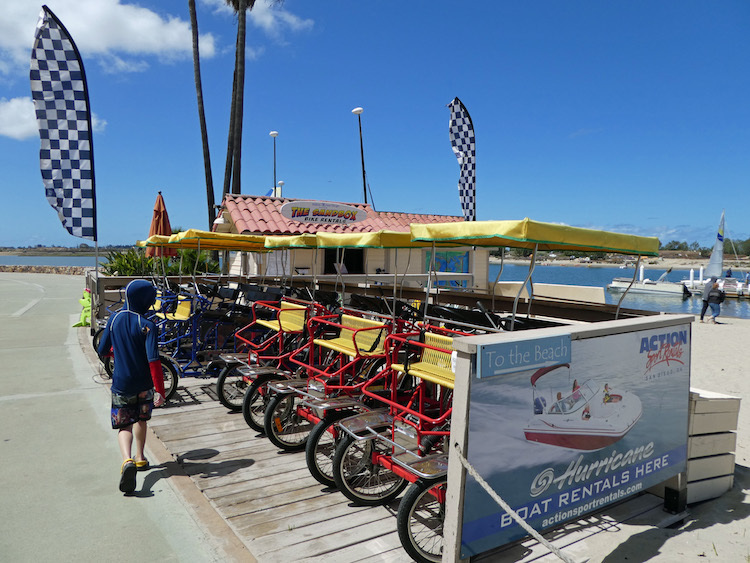 Bike and boat rentals on site. The kids bike options were not great, I’d recommend trying a Surrey bike instead. Beyond the park next door, there is nothing within walking distance. No local stores or additional dining options. 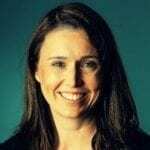 Extra fees to be aware of are a $29 Resort fee and $36 Parking Fee. 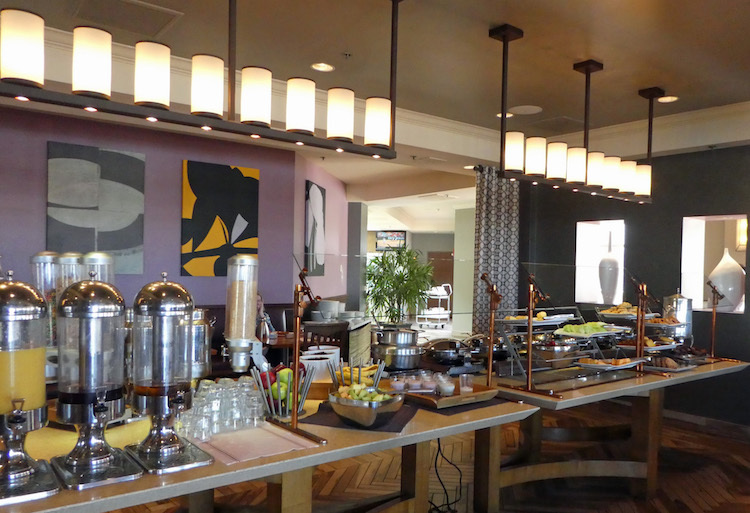 I’d definitely recommend staying at the Hilton San Diego Resort & Spa if it’s within your budget. The on-site amenities and prime Mission Beach location are hard to beat. It’s the perfect home base for exploring all the fun that San Diego has to offer.